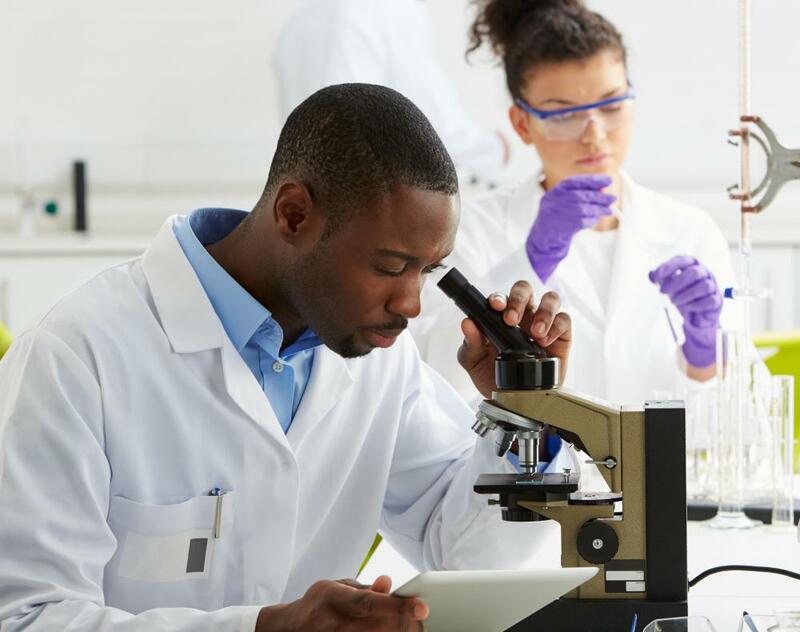 Micromorphology, which is a section of pedology, involves examining soil samples under lab microscopes. Pedology is the scientific study of soil, focusing primarily on the natural formation and arrangement of soil. Pedologists examine and classify soil, as well as perform research to determine environmental factors that affect it. Since soil condition can greatly affect agriculture and plant life, pedology typically is concerned with finding out how to maintain the optimal soil condition. Pedogenesis is one of the main areas of the science. 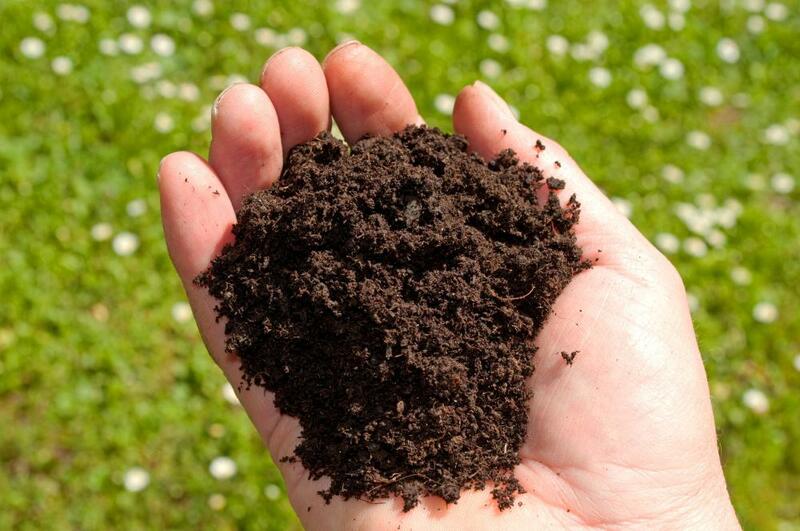 Pedologists who specialize in pedogenesis study the process of how soil is created, investigating the effects of various environmental features on soil. Pedogenesis often focuses on the studying of how different climate and organisms alter soil conditions. Soil morphology is another section of pedology and involves the study of soil features, such as color, texture, roots, and consistency to determine the differences of soil in different areas. It includes two subcategories: micromorphology and field morphology. Micromorphology is the examination of soil samples under laboratory microscopes. Pedologists who work in field morphology study soil outdoors in its natural environment. Field morphology uses vertical soil samples to expose the different layers of soil. Pedologists may dig a hole in order to fully expose the various horizontal layers, then look for differences within the layers. Pedology also involves the classification of soil. Each country or region typically has their own soil classification systems. For example, the United States uses the Natural Resources Conservation Service (NRCS) Soil Classification System, while France uses the French Soil Reference System. There is also one international soil classification system: the World Soil Classification, created by the Food and Agriculture Organization(FAO) of the United Nations. The FAO World Soil Classification divides soil into categories based on phases, textures, and slopes of the area. The origins of pedology are generally credited to the nineteenth century scientists Eugene Hilgard and Vasily Dokuchaev. Hilgard was an American scientist who began studying soil conditions when he examined and wrote a report about the soil in Mississippi in 1860. In 1883, Dokuchaev, an Russian scientist, developed five categories to classify soil formation: climate, organisms, geologic material, geomorphology, and time. Many modern pedologists base their soil categorization on Dokuchaev's ideas. During the 1960s, the focus of pedological research began to focus on the effects of human actions on soil development and conditions. This area of research was first referred to as metapedogenesis, but is more typically known as anthropedogenesis. For example, pedologists who focus on anthropedogenesis may observe the appearance and condition of soil in industrial areas to determine how air pollution affects soil. What is the Proctor Test? @Mammmood - I don’t think you necessarily need fertilizer to add nitrogen to the soil. I’ve heard that clover is a legume that adds nitrogen to the soil. Unfortunately, many herbicides treat clover as a weed. You should find one that doesn’t because in killing clover you are killing a free fertilizer. Some people even buy the clover seeds and scatter them in their lawn, hoping to grow lots of these legumes and improve the quality of their soil. @Charred - Nitrogen is the thing to add to soil in my opinion. I confess I’ve never done an analysis like you suggested, but I went ahead and added soil nitrogen to my front yard and the grass grew like crazy. I made the mistake of spilling some of the fertilizer in some spots and this caused some of the grass to burn, especially since it happened on a very hot day. However it’s Bermuda grass and it came back, green as ever. I recommend that if you add fertilizer, do it sparingly (according to instructions at least) and do it in cool weather or in the evening. The grass should be a little wet so the granules can stick to the grass, but not too damp. @hamje32 - I agree. There are many ways to improve soil. What I would recommend however is that before anyone tries to amend their soil, they first find out what condition it’s in. You want to determine the pH balance of the soil; with this information you will know how to properly amend the soil. You can buy pH kits from home improvement stores or even your local nursery and they will tell you the condition of the soil. I personally prefer the strips instead of using the digital meters because I think they give a more accurate chemical reaction, but that’s just my preference. We live in areas where there is a lot of clay soil. My soil in particular was very hard and I wanted to put down new grass seed. As I researched ways to improve clay soil I discovered that I could add lime, in modest quantities, so that’s what I did. It made the soil easy to mold and improved the pH balance of the soil. I then planted new grass seed (which came with its own fertilizer) and the grass grew very well. Of course I watered like the instructions told me to. I think that you can improve any soil if you amend it properly and water it.